Perfect over my center island. 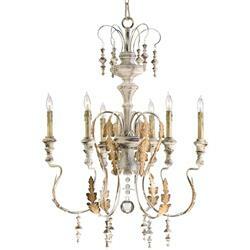 This chandelier has light airy look true elegance. Good value.